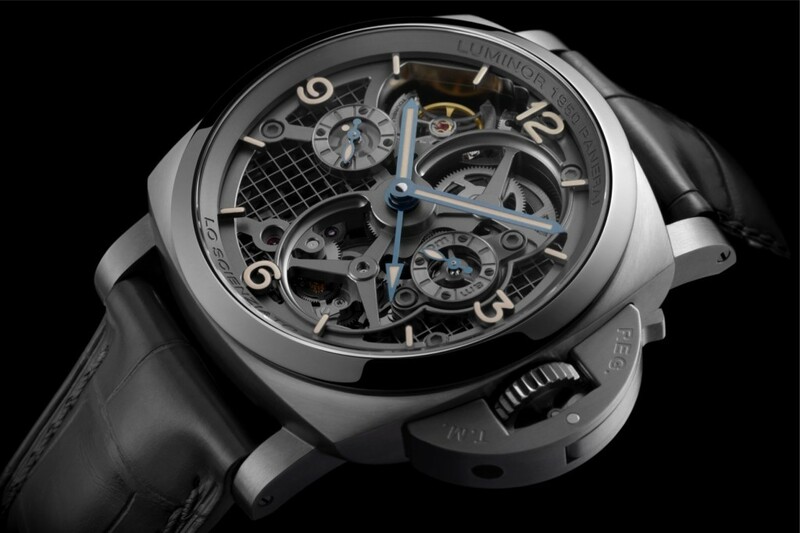 Was the New Panerai PAM578 Titanium Tourbillon Special Edition Really a 3D Printed Watch? Just last month, our colleagues over at Panerai Central — who cover everything Panerai in brilliant style — wrote about the brand’s use of what 3-dimensional printing for the most recently released PAM578 Titanium Tourbillon Special Edition. 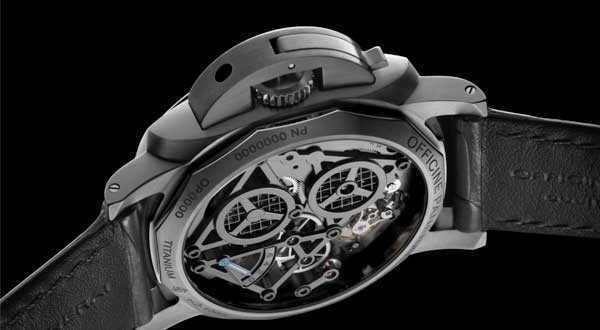 Three-dimensional printing has made a big impact in the watch industry over the past few years, but in this newest Panerai watch, the brand may have brought it to a new level. With the permission of Panerai Central, we bring you an excerpt here from their article on this industry advancement and the role Panerai’s new watch plays. “Everywhere you look, 3D printing capabilities and its uses are in the forefront of technology blogs. It was only about 20 years ago that color printing was becoming common at the workplace and at home. Here we are in 2016 and you can print your own 3D objects from a slew of different materials from plastic to metals. Panerai in one of their latest novelties, the new PAM578 Titanium Tourbillon Special Edition, used a variation of this technology known as Direct Metal Laser Sintering (DMLS). DMLS is a technique that uses a laser that is fired into a bed of powered metal, welding the material together to form a solid structure layer by layer. Each layer in this printing method measures only .02mm thick. The DMLS method, which is slow and tedious, allows the end user to create forms and designs that don’t require any special tooling. The EOS firm out of Germany developed the metal sintering technology used to create this watch. You can watch a video about this technology here. By using this new technology in the creation of the PAM578’s case they were able to shed over 40% of the weight compared to steel. If this case were made with traditional methods in Titanium, Panerai would not have been able to hit those benchmark numbers. Creating this case by using DMLS they were able to achieve a case that looks very similar to all 1950’s Luminor cases on the outside, but practically hollowed out in the inside. Utilizing the layer by layer building from the ground up they were able to open up areas of the case that a normal tool would have never been able to reach. Thanks to all of the detail work and movement being made out of titanium as well, the watch weighs an astounding 90 grams, which is amazing considering the watch is 48mm in size. To be able to hold a watch that was created essentially through 3D printing methods is a bit mind blowing. Panerai is not the first watch brand to embrace this amazing technology, but they have definitely created an amazing special edition with it that was one of the highlights of SIHH 2016. Last year Officine Panerai stepped into uncharted territory for their brand introducing the new composite material, Carbotech. This year, they took leap …. forward, adding a beautiful addition to the “Lo Scientziato” family, which pays homage to Galileo Galilee and the old world foundations of time keeping, and merging it with cutting edge 3D printing technology.” Bravo. Thanks for enjoying our article and using it on such a great platform such as yours! This piece was definitely a highlight of this years SIHH for Panerai.